Welcome to our collection survey. Here you’ll find the researched provenances of just a few of the amazing Repository artifacts, originally part of Dr. Consonant’s New Museum of the Pacific, now contained in the Repository of Wonders. 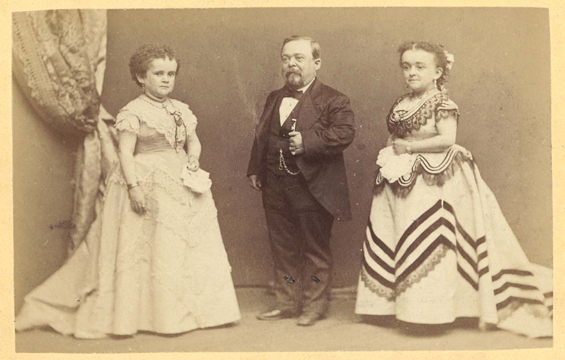 Dr. Mycenae T. Consonant, Owner/Operator of the New Museum of the Pacific, was once referred to by a critic as “the feminine, latter-day P. T. Barnum,” which could not have been further from the truth. 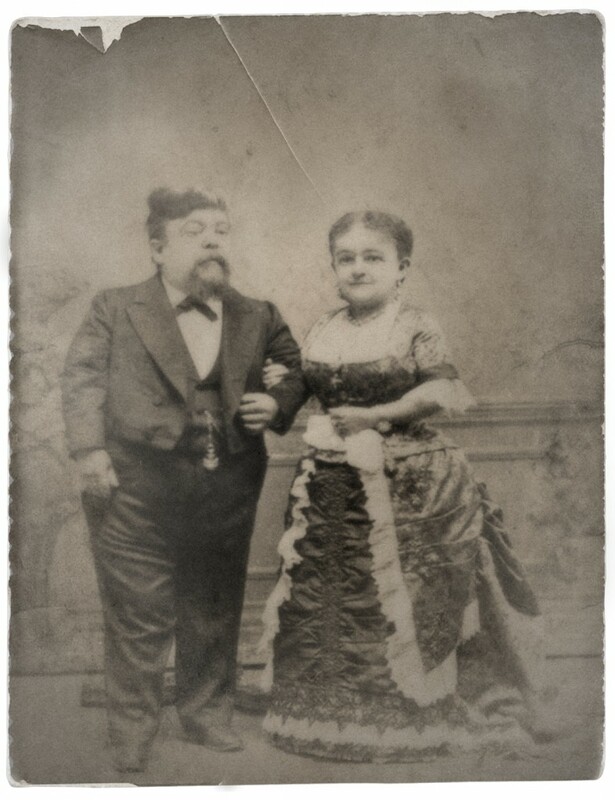 However, she did meet Barnum as a child, shortly before his death in 1891, and later gratefully accepted the gift of Tom Thumb’s Toupee from Barnum’s estate. The two photographic prints supplied here demonstrate how Stratton (b.1838, d.1883) appeared, with and without his lagniappe. 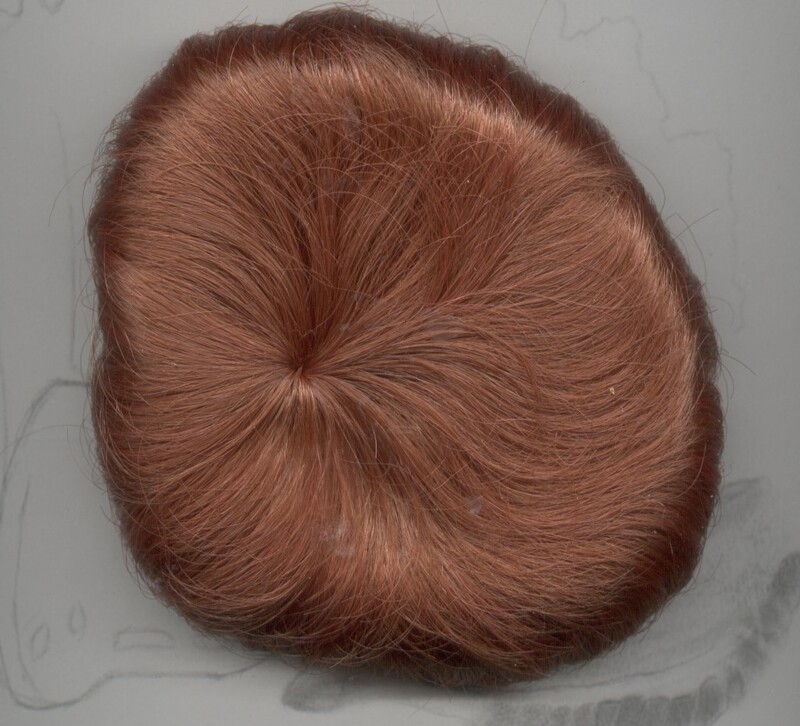 The wig was well preserved and remains in excellent condition to this day, as may be observed. In 1831, Edgar Allan Poe (American, b.1809, d.1849) sought to leave his post of Cadet at the United States Military Academy at West Point. When ordered to participate in a military dress parade in “white gloves, belt & boots” Poe arrived — dressed only in the items as listed in the order. His state of dishabille earned him a court-martial, and he was subsequently dismissed. 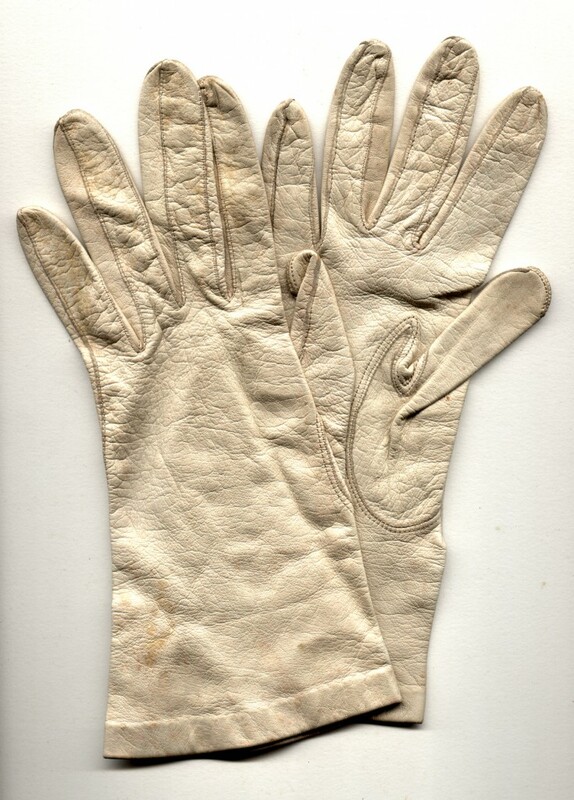 These gloves are believed to be those donned by Poe as part of his dismissal plot stunt; the initials “EAP” are stamped in ink on the inside of the right glove, while the left Glove contains a Quartermaster’s stamp contemporary to West Point Academy in the 1830s. During the reign of Louis XVI, French courtiers were ferociously competitive in their continual efforts to appear more fashionable than their competitors, as they continually tried to best each other at any and all endeavours. 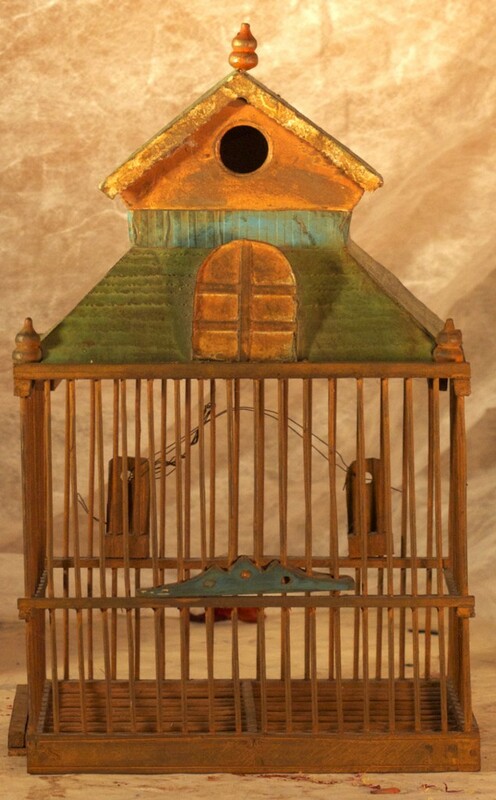 One day, a courtier brought to the palace a cricket in a small bamboo cage that he purchased from a market stall. He told everyone that he intended to build a beautiful house for it to live in, to secure it a long, healthy life, as he had been told by the cricket seller that a cricket’s death would produce bad luck. The purchase of crickets and the building of ever-more elaborate living quarters for them quickly became yet another competitive fad at Versailles, and the halls of the palace became so noisy with the chirping of the creatures that it was difficult to hold a conversation. The King ordered a bonfire to be built, and all cricket cages were confiscated and thrown into the fire, destroying the crickets as well as their miniature domiciles. Within six weeks, with the storming of the Bastille on July 14, 1789, the French Revolution was well under way, spelling doom for the French monarchy. One of the most valuable pieces held in the Repository is this bust, attributed to Renaissance master Michelangelo di Lodovico Buonarroti Simoni. 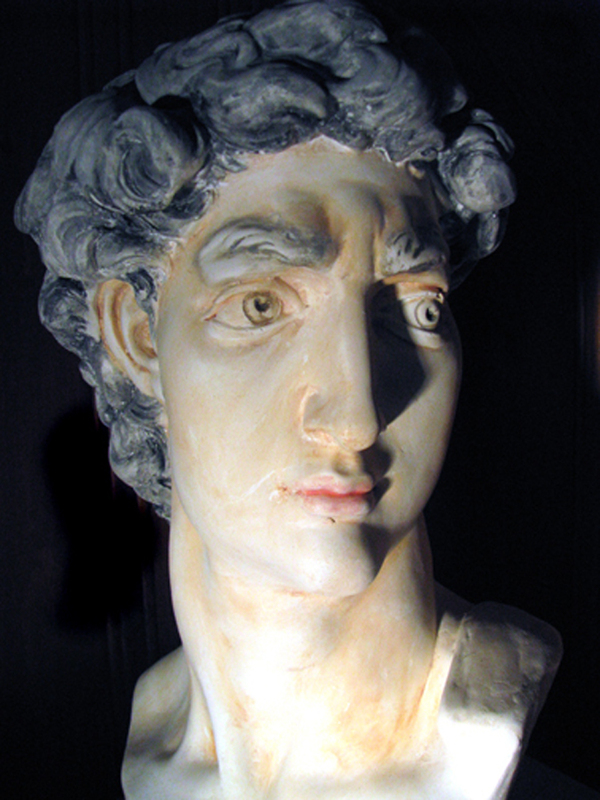 It was originally discovered in a back room of the artist’s last known studio building in Rome, and thought to be a maquette (small scale model) for his famous sculpture of David, discarded and then painted by someone — perhaps an apprentice, as a sort of prank. 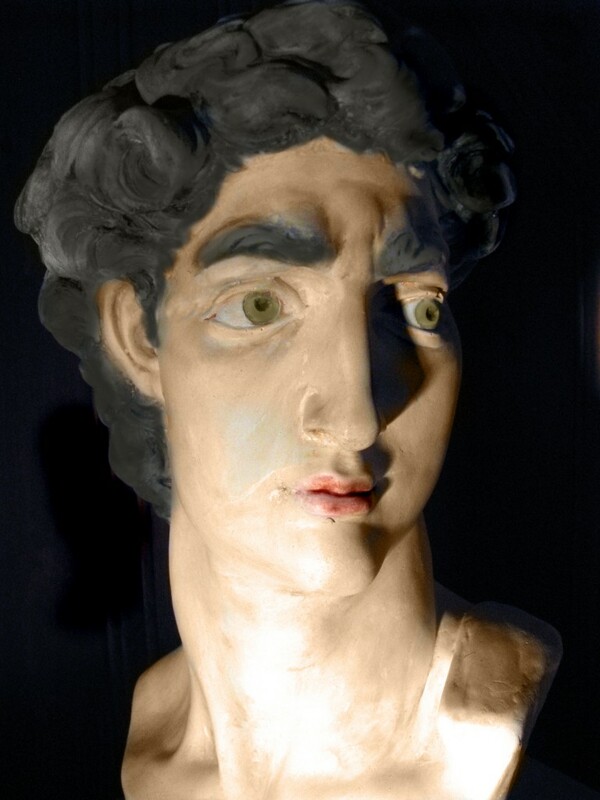 While studying art history at Wellesley College, Dr. Consonant surmised that it was actually painted by Michelangelo himself, during a period when the artist demonstrated a strong interest in reviving polychromy (multi-colored) statuary, modelling his experimental work on that of the ancient Greeks. As is evident, most of the original egg tempera paint has flaked away, leaving behind only a hint of how it would have appeared as the artist intended. Shown below is Michelangelo’s Maquette, as it exists today. Below that is the editor’s rendition of how it might have originally been painted. This life-sized (approx. 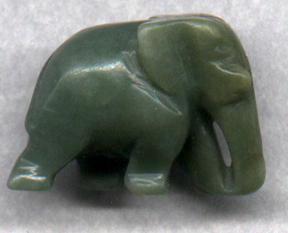 1 inch or 32 mm square) sculpture of the once abundant Nepalese Micro-Elephant, known as “Minikins” is a rare find from the Far East. Evolved from the Dwarf Elephants of Crete, and the forerunner to today’s largest land mammal, the Minikins roamed throughout the Mediterranean region, then Northern Africa, eventually finding their way to the Indo-Chinese border. They settled in Nepal, where they were considered sacred. Ancient texts recall their trumpeting bellows, which could be heard from several feet away, and the site of a large herd — which spread for several yards at the peak of their population — was an inspiration (when they were not being trodden upon). 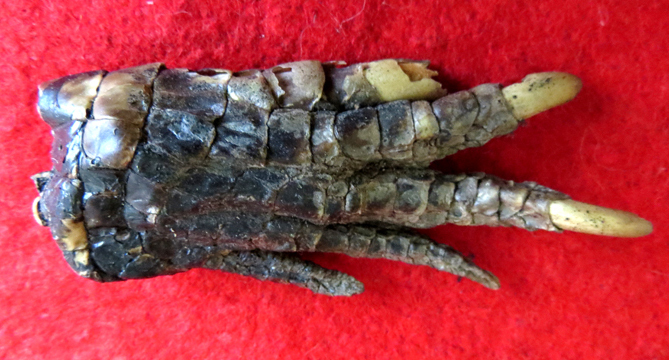 Little evidence of the existence of these might, albeit tiny, creatures remains to this day; there is reportedly an extant Minikin skeleton in good condition stored in a reliquary in a Nepalese temple, but it is not allowed to be viewed by outsiders. The jade statue presented here was owned by a Nepalese king; it was brought by Dr. Consonant to North America from one of her treks to the region in 1908. 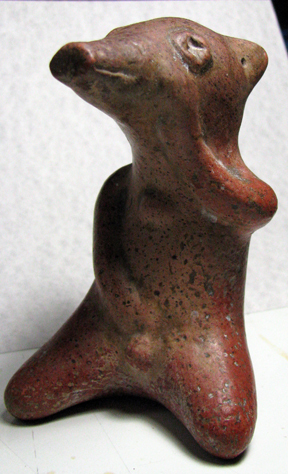 Found by Dr. Consonant in Chiapas, Mexico on one of three (known) archaeological digs in 1902, this small statue is believed to depict T’ouch’ma’pud’ca, the ancient Aztec god of gratification, ca. 1480 AD.